Holy cow, Halloween is almost here and I’m behind the eight ball! My kids have been pointing out some of the homes in the neighborhood that have already decorated for the spooky holiday and asking when we will decorate our own home. This weekend I tell them knowing that I’ll have to keep my promise. So to get me and many of you inspired and motivated for Halloween decorating, I’ve pulled several of my most popular images from my Halloween Pinterest board to share. 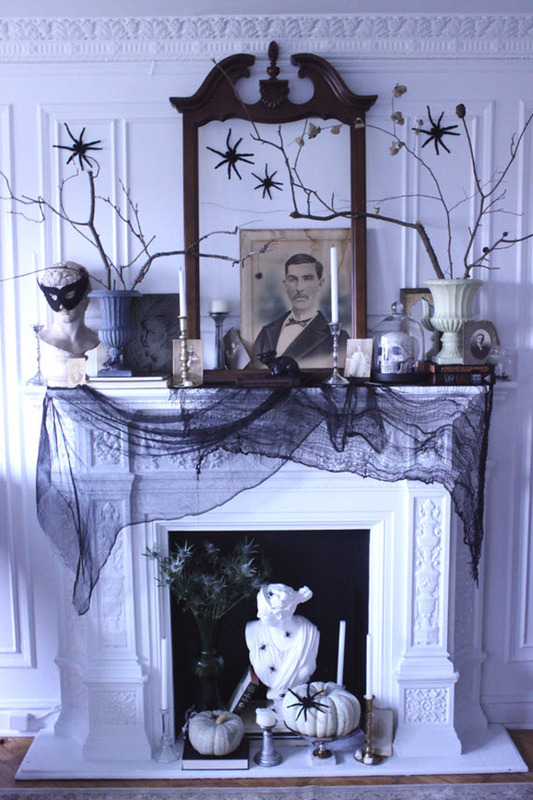 Love this spooky fireplace mantel created by The Design Daredevil. 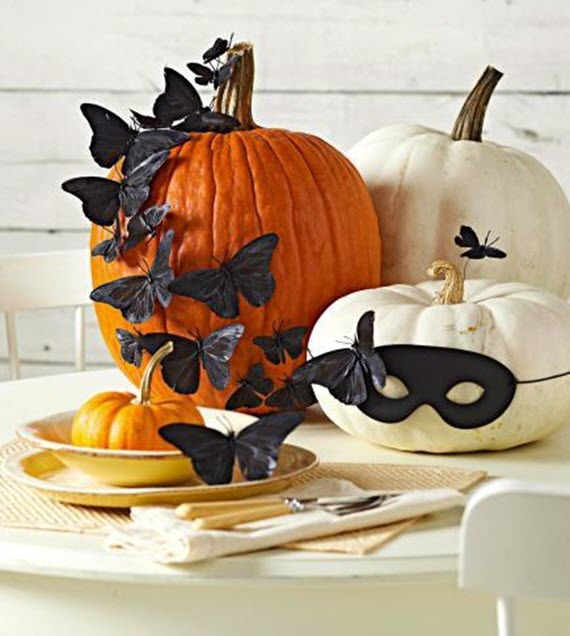 She keeps to a black and white color palette which is also a fave for Halloween decorating. No carve pumpkin decorating ideas are always up my alley. Love this spotted in Midwest Living with fluttering butterflies and harlequinlike masks. 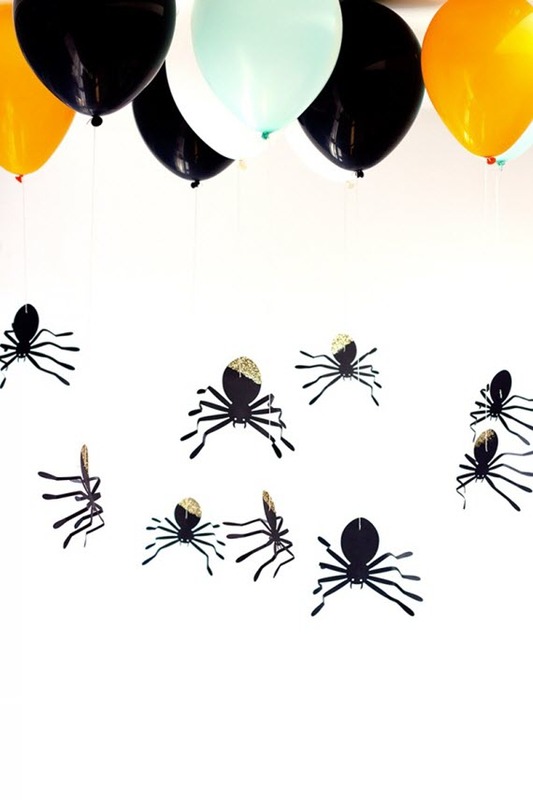 Love this simple idea of hanging black paper spiders from helium balloons via DIY Studio. Super fun and easy Halloween project! 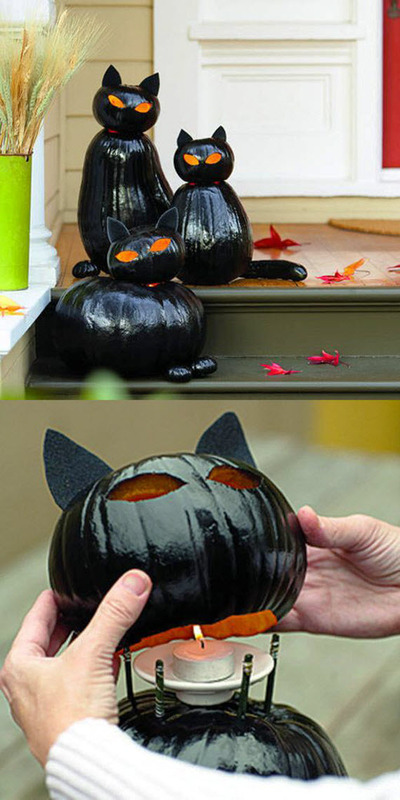 How clever at these black cat jack-o-lanterns? 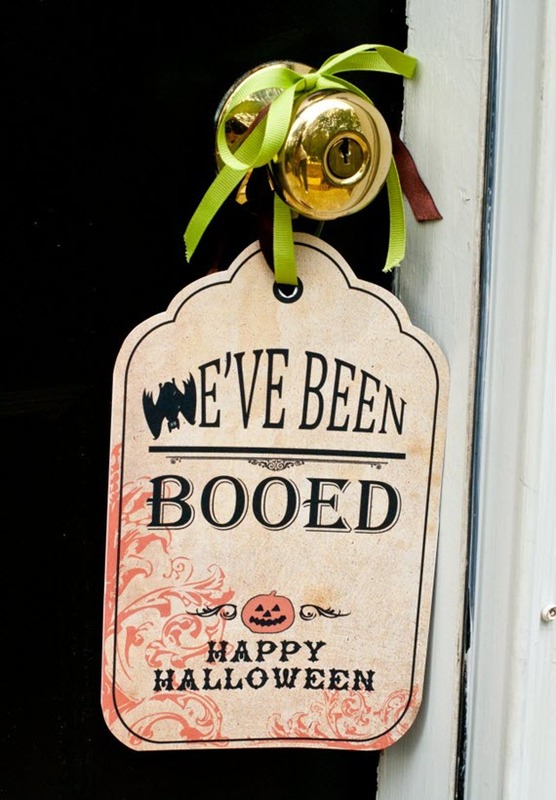 Such a fun way to greet trick-or-treaters! Getting Boo’d is always fun for the kids. Love this door-tag idea – printable found here. Not decor, but really love these mini caramel apple idea via the Inspired Dreamer! Love that they are bit size! Totally going to try this. 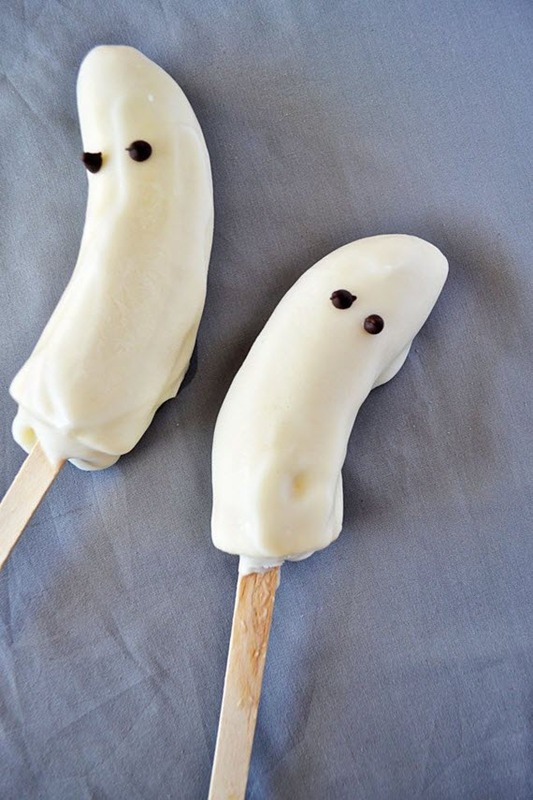 These frozen bananas and yogurt ghosts are also a great Halloween treat idea for the kiddos. Healthy too! Here’s the recipe. Don’t all of these creative Halloween decorating ideas and yummy treats get you in the mood to start decorating for Halloween? Great ideas! My absolute favorites are the mini-caramel apples! Those are just the right size of a little bite of the rich and sweetness of caramel apples!